The BC SPCA has more than 120 years of experience protecting and caring for animals. We aim to share our collection of research conducted by our scientists and affiliated researchers at BC SPCA locations with academics and scholars who are also working to improve the lives of animals. University and college students can get involved with the BC SPCA through course-based practicums (such as UBC’s Applied Biology Practicum), veterinary and animal health tech externships and work placements. Speak to your faculty advisor first to see if you are eligible for course credit. We also welcome opportunities to work with graduate students already funded and accepted into programs to undertake animal welfare or health studies. Makowska IJ 2018 Review of dog training methods: welfare, learning ability, and current standards (PDF). BC SPCA: Vancouver, Canada. Fraser D, Koralesky KE and Urton G 2018 Toward a harmonized approach to animal welfare law in Canada (PDF). Canadian Veterinary Journal 59: 293-302. Boey J 2017 Working with communities to improve the quality of life of British Columbia’s free-roaming dogs and their people (PDF). M.A. Thesis, University of Victoria, Victoria, Canada. Gourkow N and Phillips CJC 2015 Effect of interactions with humans on behaviour, mucosal immunity and upper respiratory disease of shelter cats rated as contented on arrival (PDF). 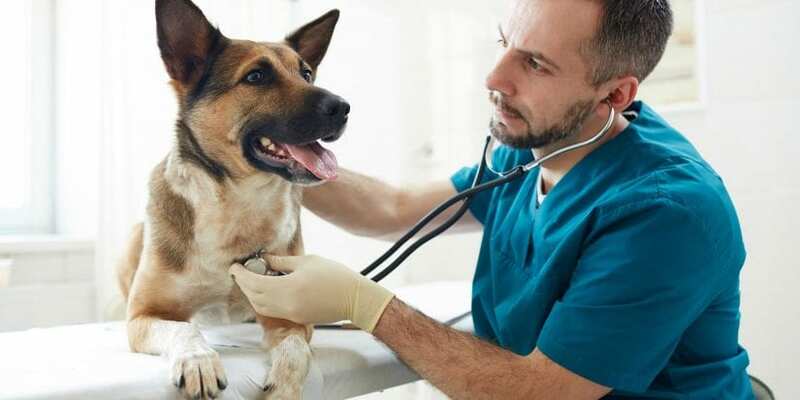 Preventative Veterinary Medicine 121: 288-296. Gourkow N, LaVoy A, Dean GA and Phillips CJC 2014 Associations of behaviour with secretory immunoglobulin A and cortisol in domestic cats during their first week in an animal shelter (PDF). Applied Animal Behaviour Science 150: 55-64. Gourkow N, Hamon SC and Phillips CJC 2014 Effect of gentle stroking and vocalization on behaviour, mucosal immunity and upper respiratory disease in anxious shelter cats (PDF). Preventative Veterinary Medicine 117: 266-275. Gourkow N, Lawson JH, Hamon SC and Phillips CJC 2013 Descriptive epidemiology of upper respiratory disease and associated risk factors in cats in an animal shelter in coastal western Canada PDF). Canadian Veterinary Journal 54: 132-138. MacNeil-Allcock A, Clarke NM, Ledger RA and Fraser D 2011 Aggression, behaviour, and animal care among pit bulls and other dogs adopted from an animal shelter (PDF). Animal Welfare 20: 463-468. Ledger RA and Russ N 2010 The fate of cats adopted from rescue shelters in Canada (PDF). Journal of Veterinary Behavior 5: 35-36. Ledger RA 2010 The relinquishment of rabbits to rescue shelters in Canada (PDF). Journal of Veterinary Behavior 5: 36-37. Morris A 2008 Policies to promote socialization and welfare in dog breeding (PDF). M.P.P. Thesis, Simon Fraser University, Burnaby, Canada. Gourkow N and Fraser D 2006 The effect of housing and handling practices on the welfare, behaviour and selection of domestic cats (Felis sylvestris catus) by adopters in an animal shelter (PDF). Animal Welfare 15: 371-377. Orihel JS 2006 Management and rehabilitation of inter-dog aggression in animal shelters (PDF). M.Sc. Thesis, University of British Columbia, Vancouver, Canada. Orihel JS, Ledger RA and Fraser D 2005 A survey of the management of inter-dog aggression by animal shelters in Canada (PDF). Anthrozoös 18: 273-287. Gourkow N 2001 Factors affecting the welfare and adoption rate of cats in an animal shelter (PDF). M.Sc. Thesis, University of British Columbia, Vancouver, Canada. BC SPCA 2016 A common approach to wildlife control for animal welfare and protection organisations (PDF). Developed from discussions at the Expert Forum on Humane Wildlife Control Standards held at the University of British Columbia, Vancouver, Canada on July 27 and 28, 2015: Vancouver, Canada. Dubois S 2016 Managing wildlife issues: Compassionate Conservation practices can make it easier for humans and wild animals to live together (PDF). In: Gardner SM (ed) Municipal World pp 5-7. Municipal World Inc: Ontario, Canada. Dubois S and Harshaw H 2013 Exploring “humane” dimensions of wildlife (PDF). Human Dimensions of Wildlife 18: 1-19. Dubois S and Fraser D 2013 Local attitudes towards bear management after illegal feeding and problem bear activity (PDF). Animals 3: 935-950. Dubois S and Fraser D 2013 Rating harms to wildlife: a survey showing convergence between conservation and animal welfare view (PDF). Animal Welfare 22: 49-55. Dubois S and Fraser D 2013 A framework to evaluate wildlife feeding in research, wildlife management, tourism and recreation (PDF). Animals 3: 978-994. 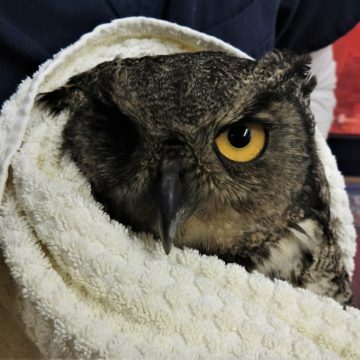 Dubois S and Fraser D 2003 Conversations with stakeholders – 2: Contentious issues in wildlife rehabilitation (PDF). Journal of Wildlife Rehabilitation 26: 8-14. Dubois S and Fraser D 2003 Conversations with stakeholders – 1: Goals, impediments, and relationships in wildlife rehabilitation (PDF). Journal of Wildlife Rehabilitation 26: 14-22. Dubois S and Fraser D 2003 Defining and measuring success in wildlife rehabilitation (PDF) Wildlife Rehabilitation 21: 123-132. Lecorps B, Ludwig BR, von Keyserlingk MAG and Weary DM 2019 Pain-induced pessimism and anhedonia: Evidence from a novel probability-based judgment bias test (PDF). Frontiers in Behavioral Neuroscience 13: 54. Duncan I, Ramsay C and Urton G 2009 The scientific case against foie gras (PDF) BC SPCA: Vancouver, Canada. Street BR 2005 The effects of housing grow-finish pigs in two different group sizes and floor space allocations (PDF). M.Sc. Thesis, University of Saskatchewan, Saskatoon, Canada. 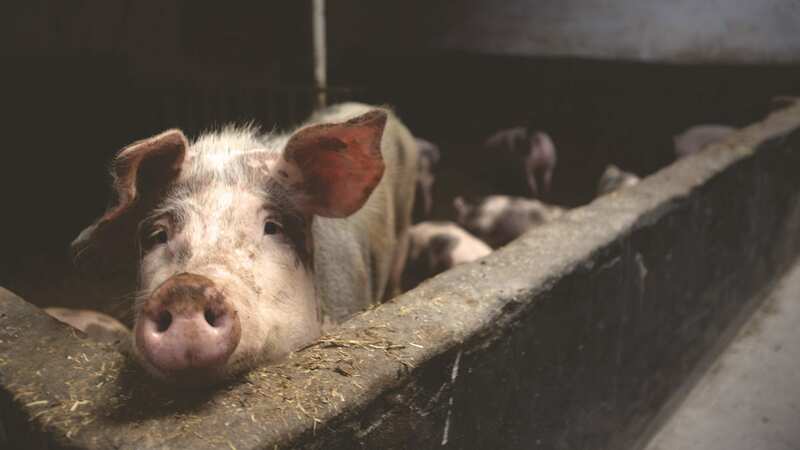 Street BR and Gonyou HW 2008 Effects of housing finishing pigs in two group sized and at two floor space allocations on production, health, behavior, and physiological variables (PDF). Journal of Animal Science 86: 982-991. Urton GDG 2005 Feeding behaviour identifies dairy cows at risk for metritis (PDF). M.Sc. Thesis, University of British Columbia, Vancouver, Canada.